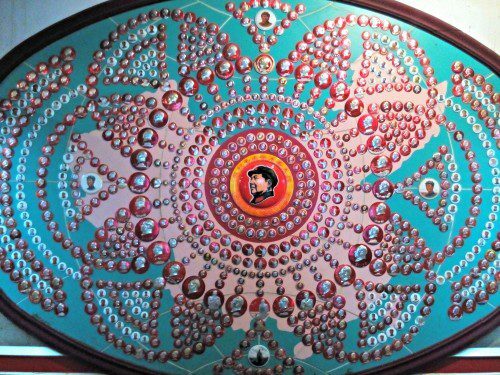 The quirky ‘Mao Badge Museum’ at Fengjing. You’ve probably heard of tour- bus-filled Zhujiajiao and Wuzhen already, but tiny Fengjing flies well under the radar and is rarely crowded. Only about an hour from downtown by bus or car it’s a great little day trip and entry is free. We recommend purchasing the 50RMB tong piao which allows you to access all of the mini-museums and temples in the town’s old quarter. The ‘Site of the Former People’s Commune’ is Bespoke’s personal favorite, as it includes a rare exhibit on the Cultural Revolution era, not to mention a chance to explore a disused bomb shelter and a quirky museum dedicated exclusively to badges bearing images of Mao Zedong! Fengjing Water Town is in Fengxian District. Best way to get there? Hire a Bespoke car and driver. Wish you were here! Holiday mood at R.G.F’s hidden cafe. Ah, those sunny days where prized terrace tables are wrestled over on the likes of Anfu Road. 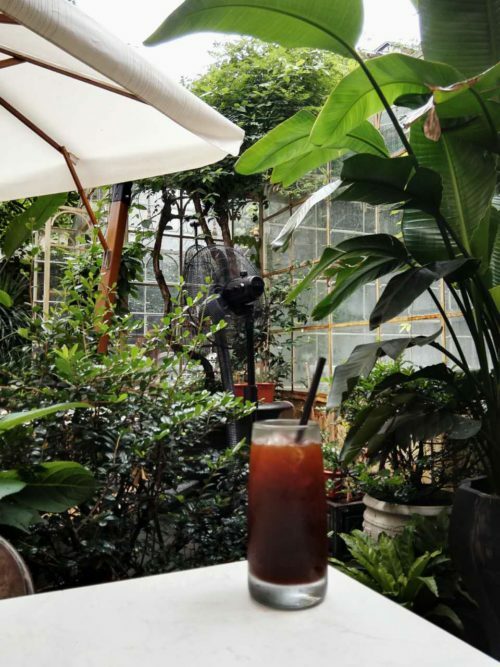 Luckily, few know about the idyllic garden tucked away behind an otherwise unassuming furniture store right opposite Bespoke HQ on Julu Lu. The space, rarely bothered by visitors other than a few local cool kids, has an English country garden meets tropical Shanghai vibe. Bring a book, order a glass of iced coffee and pretend you’re somewhere else for an hour or two. 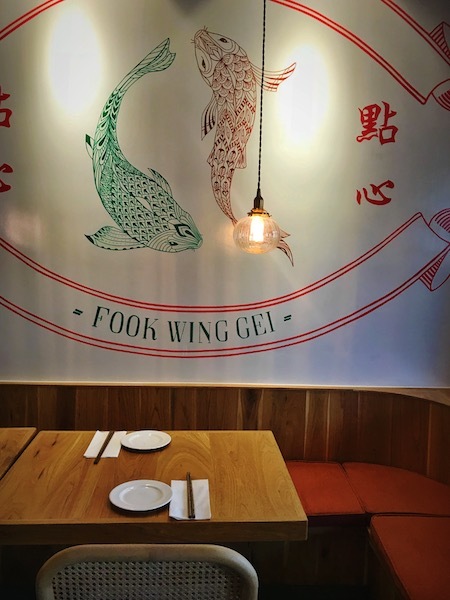 R.G.F is at 405 Julu Lu (near Shaanxi Nan Lu). 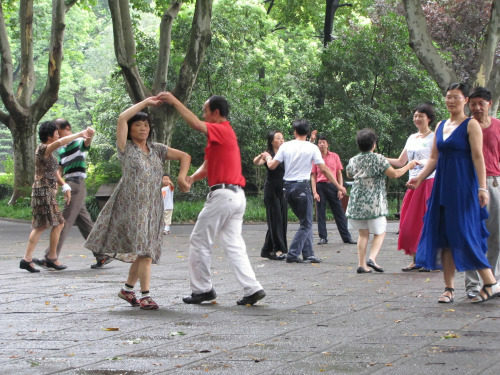 I wanna dance with somebody…at Lu Xun Park. Let’s face it, tourist-laden Fuxing Park is way too obvious a summer picnic spot for those in the know. 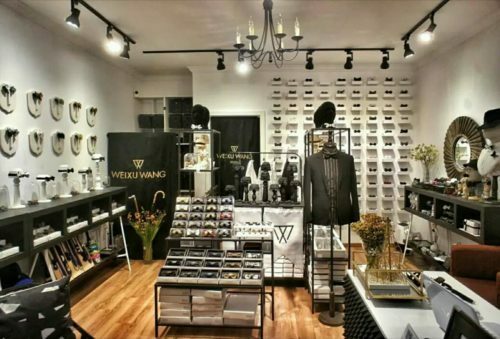 Whilst the former French Concession is being overtaken by fancy flower and wine shops, the good residents of Hongkou District truly know how to keep it real. Lovely Lu Xun Park, named for the legendary writer who spent many years living nearby, has had a revamp of late, but big groups of singers, dancers and bird enthusiasts continue to gather here, lending a fantastic local atmosphere. The gritty but ‘authentic’ surrounding neighborhoods are great for a wander, too. Lu Xun Park is at 146 East Jiangwan Road. The nearest metro stop is Hongkou Football Stadium. A room with a view. Photo Credit: The Park Hyatt. 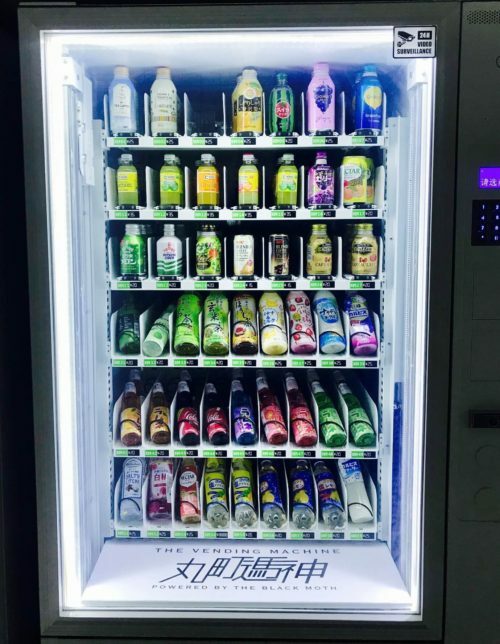 So you could spend 150RMB and jostle with rowdy tour groups for elevator space to get to the viewing platform atop the ‘Bottle Opener’. Or you could do what Bespoke does: call the Park Hyatt’s 100 Century Avenue restaurant, which enjoys essentially identical views from a couple of floors below. 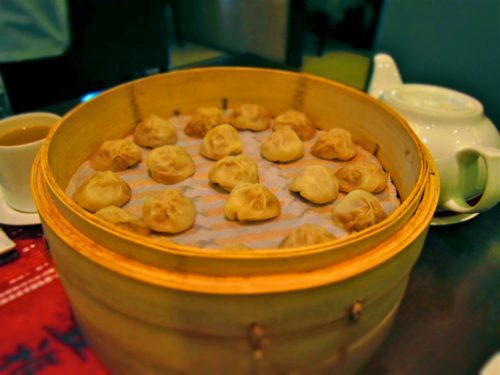 Not only have you just outclassed the clueless competition, but with weekday set lunches starting from 130RMB, you’ve also saved yourself 20 kuai and bagged a delicious meal in the process. Now that’s what we call a bargain. 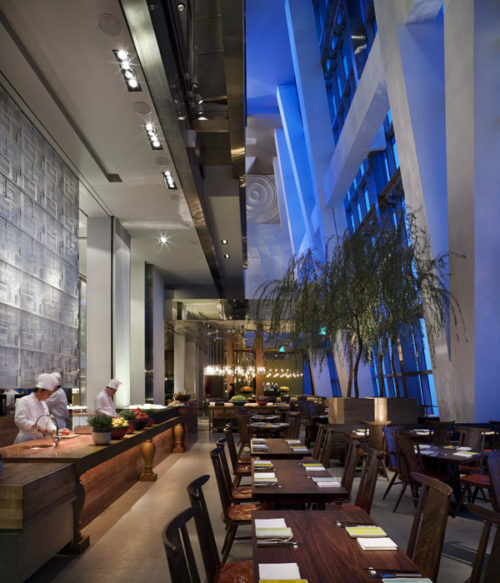 100 Century Avenue is located on the 91st floor in the Park Hyatt Shanghai Hotel. Set lunches are served Monday to Friday from 12-2pm. 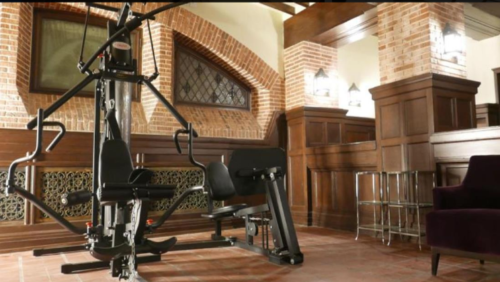 Fancy a pint with your workout? The former American Bar. If you are one of those for whom the thought of a post-workout drink acts as serious motivation, then we might just have the perfect exercise venue for you. 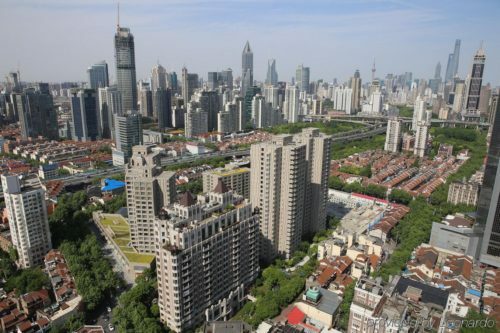 The Jinjiang group has just reopened the Metropole Hotel, an iconic property of Old Shanghai and one time sister to The Peace Hotel, as an affordable but trendy downtown bolthole. While sadly most of the building’s interiors have been lost over the years, there is one room that retains much of its original look. The American Bar, a legendary drinking den for Shanghai’s expats, has been turned into a gym – wooden bar top, old whisky casks and slightly saucy stained-glass windows remain. You can almost smell the cigar smoke and loitering gangsters, now they just need to plug in those beer taps and we’ll be regulars… The Jinjiang Metropolo Bund Circle Hotel is at 180 Jiangxi Middle Road. A fully customized trip with Bespoke can include all the above and much more. Ready to start planning? Take a peek at our Trip Customization Services. Previous Post: « We’re Hiring in Beijing and Shanghai!